Aviv Geffen, the Israeli singer/songwriter as one half of the rock duo Blackfield with prolific British musician Steven Wilson, is taking their critically acclaimed studio album V on a new 9-date European tour in January 2018. Following the successful Spring 2017 tour, which saw a surprise appearance from Steven Wilson on the UK dates, European shows with Biffy Clyro and shows with Jake Bugg, Aviv Geffen has answered the many fan requests for more live performances. Blackfield’s beloved music was recently celebrated with reissues of their classic first two albums on vinyl and CD, with the second also being remastered by Steven Wilson. Their latest album Blackfield V, was written and recorded over 18 months in both Israel and England, and contains 13 linked songs that form a flowing 45 minute ocean themed song cycle. 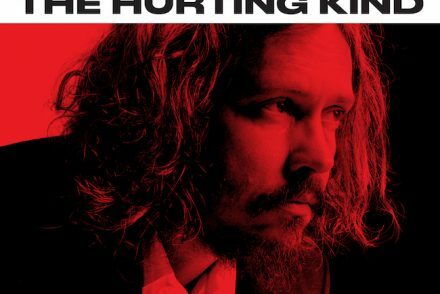 The duo expertly handle the vocals, guitars, and keyboards, with Tomer Z from the Blackfield band on drums, Eran Mitelman on keys, and string arrangements performed by the London Session Orchestra. Blackfield V is a powerful journey through catchy melodies, lush arrangements, and stunning production, with legendary producer / engineer Alan Parsons working on three of the album’s key tracks. 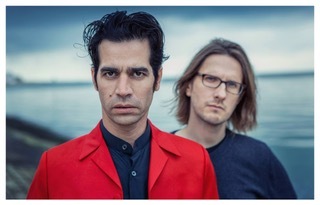 For the release of their latest album V, Blackfield revealed two music videos, created by long time collaborator Lasse Hoile (www.lassehoile.com), for the Wilson-penned “From 44 to 48” and for “Lonely Soul”.